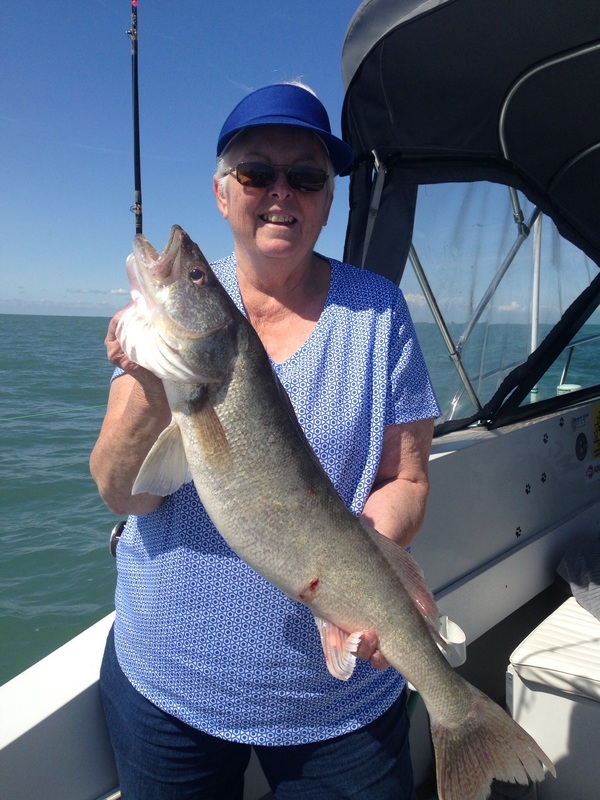 Walleye fishing has been good but we are still dealing with North East and East winds. Trolling between the Raisin River and Stoney Point with wiggle warts 90 back has produced some nice catchs in 22 to 24 feet of water. 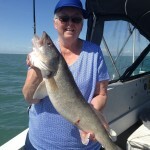 Trolling 40 jets around 65 feet produced walleye catchs faster than the wiggle warts but you will catch lots of spikes. I’ve been using the warts and have not caught a spike but the bite is a little slower. The walleye seem to like a trolling speed a little hot using the warts, some where around 2.5 to 2.7 mph. Color didn’t seem to matter. Perch fishing has been awesome! “W” buoy is the place if you don’t want to travel far. the water looks muddy but the perch seem to still bite in it. The Raisin River outer buoys is producing good catchs with some bigger perch. The perch seem to be everywhere we stopped and tried most in the size range from 7 to 8 inchs. Right now is the time to try a combo walleye and perch trip since both fish species seem to be in the same area.